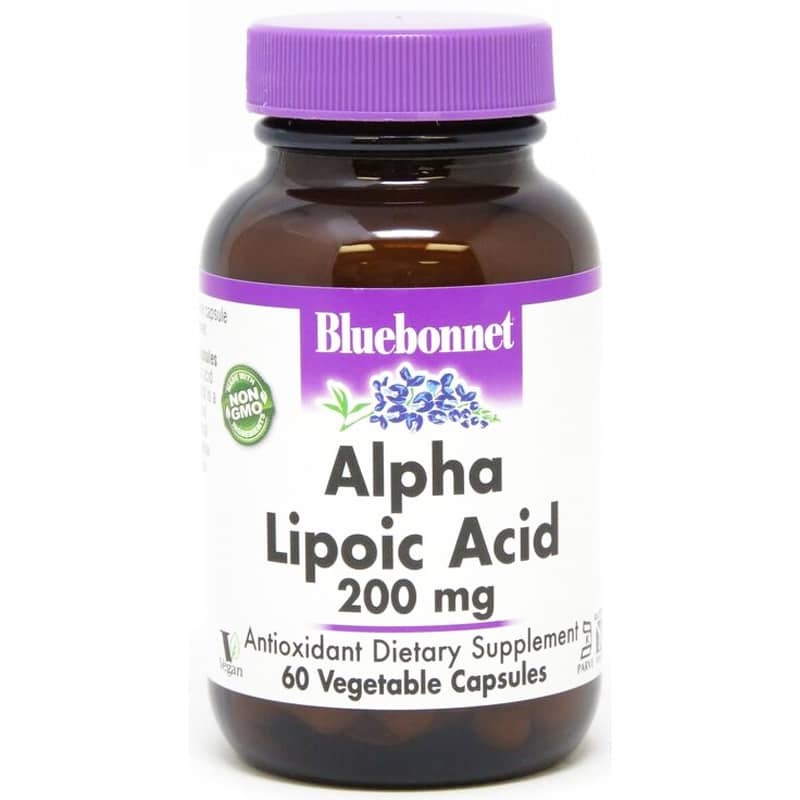 Alpha Lipoic Acid 200mg from Bluebonnet provide the powerful antioxidant alpha lipoic acid in its purest crystalline form. Alpha Lipoic Acid is a unique antioxidant that is both fat-soluble and water-soluble and is known for supporting free radical scavenger activity. Studies show that alpha lipoic acid plays a role in supporting maintenance of healthy nerve function through its neuroprotection qualities and its ability to support healthy microcirculation. 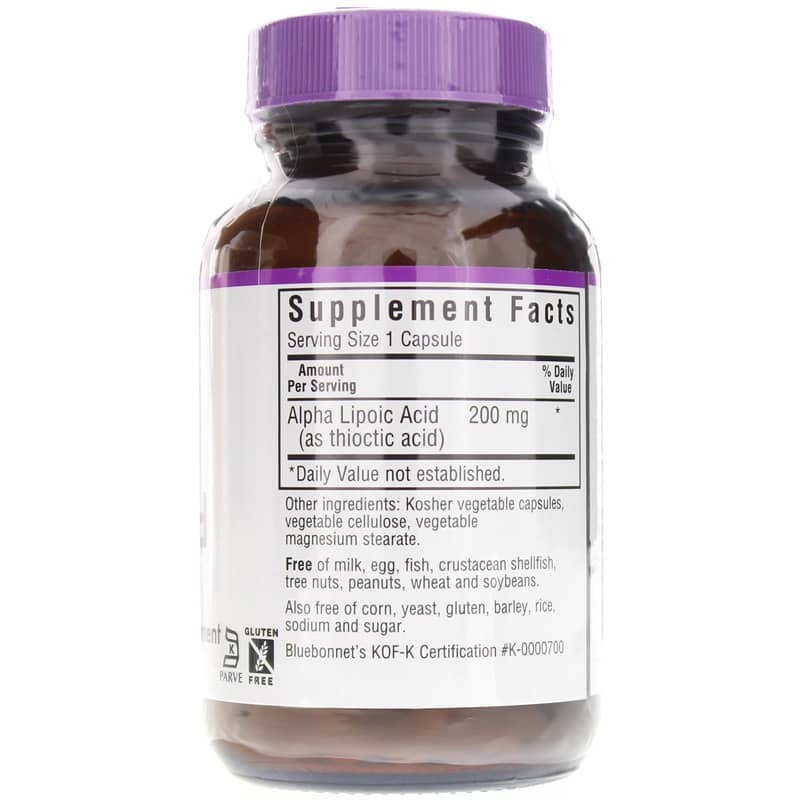 Alpha lipoic acid may support healthy glucose uptake and maintenance. Alpha lipoic acids antioxidant properties may also provide support for healthy vascular and blood vessel function. Alpha lipoic acid or thioctic acid is a vitamin-like natural antioxidant that is involved in energy production (formation of ATP) from the metabolism of fats, carbohydrates and proteins. Alpha lipoic acid aids in recycling the antioxidant vitamins C and E.
Free radicals are generated by exposure to harmful environmental factors, such as: smog, ozone, chemicals, drugs, smoking and radiation, as well as during normal physiological processes, especially in defense against microbes and other foreign substances. Free radicals can damage DNA, proteins and lipids within cells, altering or inhibiting cellular function. Dietary antioxidants function to provide support for controlling or eliminating free radicals by donating electrons, thus, maintaining cellular health by offsetting the damage they can potentially cause. Antioxidants produced in the body, such as alpha lipoic acid, are considered endogenous antioxidants. However, many factors have been found to compromise the levels of endogenous antioxidants in the body, perhaps making supplementation useful, such as the normal aging process, certain medications and oxidative stress. Contains NO: milk, egg, fish, crustacean shellfish, tree nuts, peanuts, wheat, soybeans, corn, yeast, gluten, barley, rice, sodium and sugar. 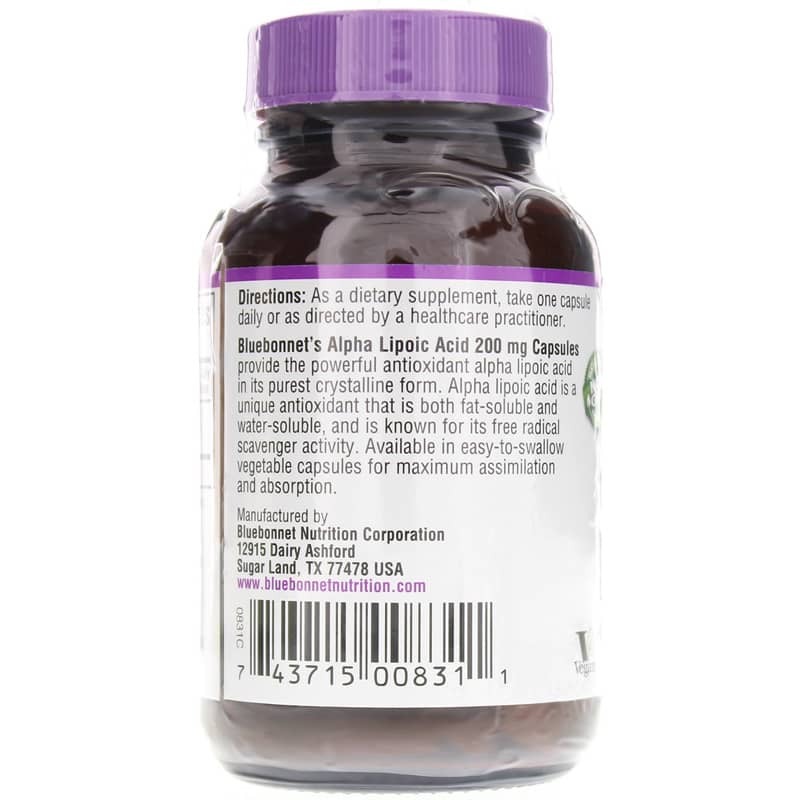 Adults: As a dietary supplement, take one caplet daily or as recommended by a healthcare professional. This seems to work well I buy this for my partner who says it seems to help with immune ,it also have low that fillers which is always a good thing .